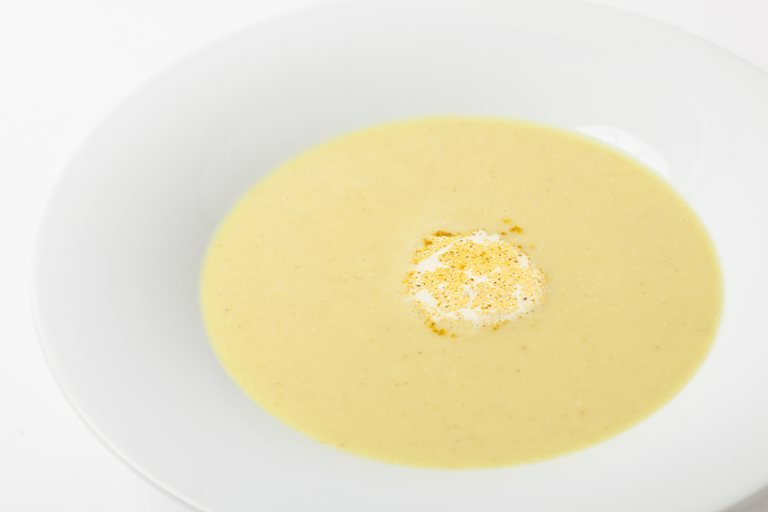 Adam Gray adds a touch of Granny Smith apple to his creamy apple and parsnip soup recipe, which compliments the earthy, sweet parsnip beautifully. With both star ingredients at their best in autumn, this warming soup is bound to become a seasonal favourite. Use a non-animal rennet alternative to Parmesan if catering for vegetarians. Remove the parsnip and apple soup from the heat and pour in the cream. Reheat on a gentle heat, stirring continuously. Once added the single cream to the soup you must not boil as this will cause the soup to curdle.